Posted by Jen Pappas in Top 5, Valparaiso. South America’s old-school, street-art filled version of San Francisco, Valparaiso has a gritty, port-city charm that’s difficult to describe. Suffice it to say the pastel-covered homes, relentless art and ragged hills overlooking the sea were more than enough to capture our imaginations. Posted by Jen Pappas in Valparaiso. 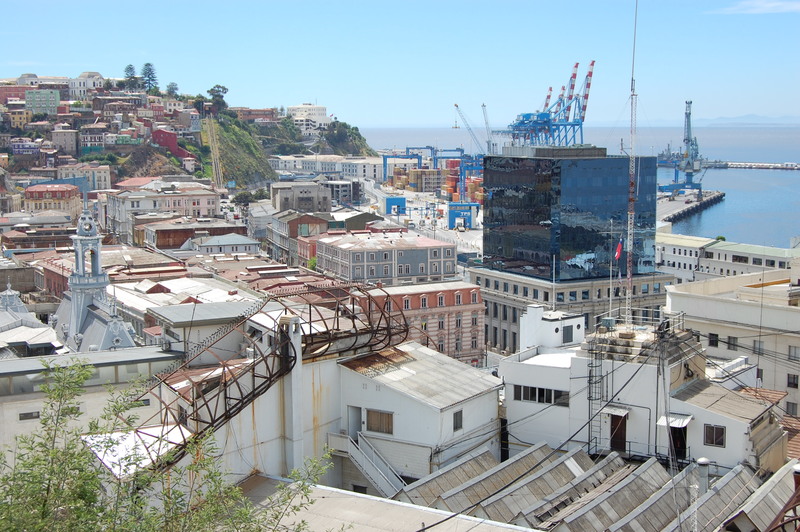 Another one of Valparaiso´s famous ascensors. This one dated back to the late 1880s. Navy ship in the Valparaiso harbor. A nice overview of Valparaiso with the Pacific in the background. This fuchsia house was so bright, we were able to pick it out from our boat during the harbor tour. Okay, so maybe I jumped the gun on the previous street art post. 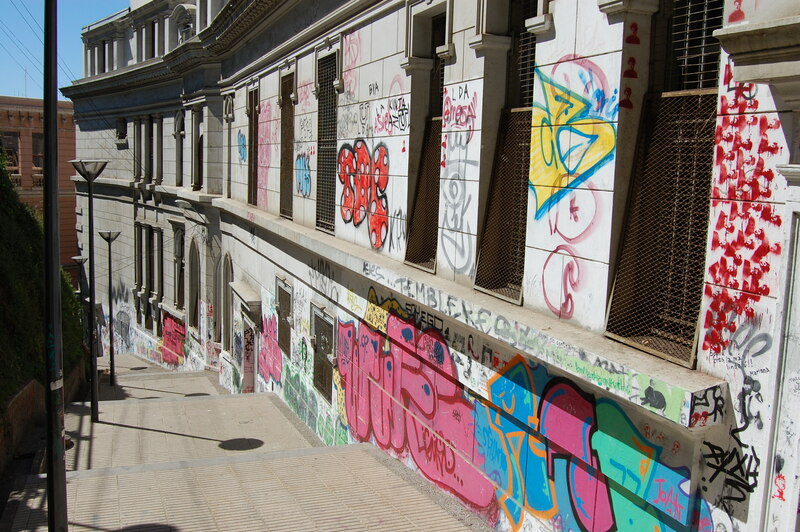 I had no idea Valparaiso wasn´t just a city, but a canvas. Graffitti artists take note, there is very little room left in which to paint, but there´s still plenty of inspiration to go around. Here is a very small sampling of what we saw. Some might recognize this stencil as an exact replica of our Halloween costumes from last year.